In support of our commitment to enterprise data security, Talkdesk is pleased to announce our newest security certification: SOC2 Type II. SOC stands for system and organization controls and is a system of service organization standards designed to measure how well an organization conducts and regulates its information. This certification, along with our security support for GDPR and HIPAA regulations, highlights our ongoing commitment to enterprise-class customer data security. A SOC 2 Type II certification demonstrates that a company has proven its system is designed to keep its clients’ sensitive data secure. The SOC 2 Type II certification is the most rigorous and comprehensive certification within the Systems and Organization Controls protocol. This is an important milestone for Talkdesk and our customers, who rely on our globally scalable, secure and guaranteed high-quality solution. Talkdesk customers have peace of mind that our SOC-certified organization has all safeguards and procedures in place across security, availability, processing integrity, confidentiality and privacy. 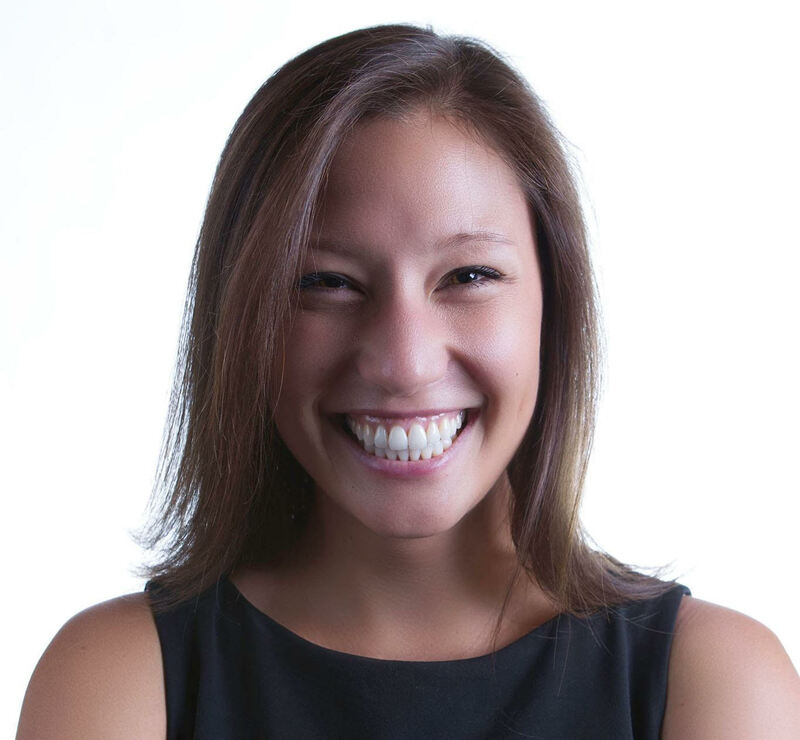 Alison is a Content Marketing Manager at Talkdesk. When she's not writing and editing all things Talkdesk, she's probably reading Nabokov or trail running in the Presidio. The post is an examination of a Call Center KPI from Talkdesk’s 2018 Contact Center KPI Benchmarking Report. To view more content like this, download the full report. Customers call contact centers to have an issue resolved. Unfortunately, that’s not always what happens. Sometimes those calls are abandoned. In this post, we’ll look at how Talkdesk calculates abandonment rate, give you benchmarking metrics for specific industries and walk through how your team can improve your abandonment rate to service customers better. An abandoned call is a call that disconnects (or is terminated by the caller) before the caller was routed to an agent. Inbound callers typically abandon in the IVR or waiting queue. In today’s environment of rising customer expectations around real-time, personalized service, it’s imperative that you are successfully connecting with as many inbound customers as possible. Short abandons however, or calls that are disconnected before a predetermined number of seconds, should be filtered out so as not to skew your call center’s abandonment rate and impair your ability to make sound management decisions. To measure the average abandonment rate in Talkdesk, first configure an abandoned short calls threshold to filter out this data. It’s best practice to exclude calls that were abandoned in the first 5 seconds. We used that threshold when we collected data for this report. Then visit the Reporting dashboard, set the appropriate date range, divide the Abandoned Calls by Total Calls and multiply that number by 100. Not surprisingly, the industries with the lowest rate of abandoned calls are Travel, Recreation and Leisure and Computers and Electronics. Travel companies are good about connecting with customers when they call. Their service teams are probably dealing with high-emotion situations like reservation cancellations or booking updates and need to invest in connecting with customers in these situations. Computers and Electronics industries have also have high urgency because when customers call they often have an emergency, such as a crashed computer that needs to be fixed immediately. At the high of the abandonment rate spectrum are Financial Services companies who may be dealing with lower-urgency issues, where customers are satisfied leaving a message and waiting for a callback. Software and Internet providers have a high abandonment rate because they’re likely funneling their customer conversations to non-voice channels. Measuring Abandonment Rate is only half the battle. You need to understand what this means to your business and how to respond, especially if this KPI is outside of your predefined target range. If you suspect your IVR is the issue, consider running a focus group and observe users navigating through your IVR. It may sound like overkill, but think of your customer service as a product you are offering. Your product team likely runs usability sessions with customers to better understand how to design the offering – why shouldn’t you do the same with your customer service offering? To learn more about Abandonment Rate and the other metrics in Talkdesk’s 2018 Contact Center KPI Benchmarking Report, click the button below. Alison is the Content Marketing Manager at Talkdesk. In addition to writing and editing at Talkdesk, she is an avid traveler and serves as Communications Director for the Lona Project. Editor’s Note: This piece was originally written by Brian Cantor, Digital Director and Principal Analyst at CCW, for CCW and Talkdesk’s Special Report: Agent Performance. Agent performance is, itself, a major challenge for contact centers. Even if all the strategic and systemic stars align, there is no guarantee the agents will actually be able to achieve optimal results. Well-coached NFL teams do not always win Super Bowls, well-practiced speakers do not always present inspirational speeches at the podium and empowered contact center agents do not always deliver experiences that satisfy customer and business needs. There is, however, an absolute guarantee that agents will not perform properly in a suboptimal contact center environment. If the management directives, processes and technologies are not predicated on driving agents to success, the customer experience will absolutely suffer. By succumbing to some common challenges, today’s organizations turn the already difficult task of agent performance into an utterly impossible one. Employees are fundamentally numbers-driven. They may appreciate the qualitative idea of customer centricity, but they require a quantitative structure to guide their behavior. They require metrics. Not simply a way to help agents “track” their behavior, metrics should establish a hierarchy of value. They should reveal what matters to the business, which in turn lets agents know what they must do to achieve success now – and rewards, promotions and opportunities in the future. Unfortunately, many businesses fail to create a consistent, straightforward metrics framework. Some do not provide agents with transparent access to performance numbers. Some tell agents to focus on connecting with customers but then evaluate them specifically on talk time and call count. Some advocate for customer centricity yet issue bonuses without paying mind to customer-oriented outcomes. By not creating a clear, consistent performance hierarchy that agents can follow in real-time, businesses do not simply undermine contact center performance. They also create internal frustration, which renders agents unsuitable for dazzling customers in the short-term and unlikely to stay with the business in the long run. CCW Digital research confirms “unclear metrics” as a top cause of unproductivity and a top agent experience challenge. Organizations struggled to establish a clear, consistent performance framework in the phone/voice channel. Imagine the challenge of creating one that encompasses all contact channels. Indeed, the omnichannel revolution has compounded the challenge of establishing performance standards. Many organizations are still fleshing out engagement in newer, digital channels. What do customers expect in these channels? To what extent should service levels and response rates mirror those in the conventional voice channel? Is a quick, complete resolution as essential to a Twitter interaction as it is a telephone conversation? As they work to understand performance expectations within individual channels, organizations also face the challenge of answering the omnichannel question. They must determine universal standards that apply regardless of channel. Customer-minded businesses are also wrestling with establishing metrics for the omnichannel experience itself, including ways to score the ease with which customers can move between channels. Before beginning to offer a resolution, the agent requires contextual information about the specific customer and specific issue. In many organizations, the process of acquiring this information is cumbersome, difficult or even impossible. CCW Digital research confirms “disintegrated technology” as the #1 productivity challenge, and it is easy to understand why. If agents need to spend minutes accessing multiple, complicated, unconnected screens just to get context, they have no prayer of delivering an optimal experience for the customer. They will either need to impose an additional, unwanted waiting period on the customer or ask the customer to repeat information. Either way, the customer is being asked to exert more effort while enduring a slower experience. Quickly, yet meaningfully connecting with a customer is difficult enough for agents who have the information they need. It is an impossible task for those who do not. Agent empowerment is the key to performance. Great training is the key to agent empowerment. Unfortunately, some organizations struggle to deliver the training agents require. They gear training toward basic, generic procedures and scripts, ignoring the human competencies and brand-specific insights that help agents deliver meaningful value. Training cultivates agents who can answer common questions rather than those who can connect with customers. Always a problem, this issue becomes particularly pronounced amid the new contact center normal. With agent focus shifting to more complex, unpredictable interactions, procedural knowledge is even less useful. Today’s agents need to feel comfortable recognizing nuanced customer needs, before thinking critically and creatively about unique resolutions. Organizations further undermine their training by ignoring the voice of the customer. They train agents on static knowledge, leaving them unable to understand what really matters to customers – and how those preferences are changing over time. Customers can use self-service tools to access basic, standard information about the company and its products. They expect agents to deliver support that is dynamic and personalized. The challenge of training goes beyond course material. Training, itself, can be the enemy of performance. Instead of leveraging automated tools and real-time, in-call support, many organizations remain committed to general classroom training. This training, which doesn’t even provide agents with custom, nuanced learning, takes agents away from their desks – and from the customers they are tasked with satisfying. CCW Digital research identifies training and coaching as the top investment focuses for workforce management, performance and the agent experience. Organizations clearly understand the importance of training, but if they do not correct the training they are offering, their investments will be for naught. Even the best training has its limitations. Agents will inevitably encounter questions for which they do not automatically know the answer. They will subsequently turn to the company knowledge base for assistance. The ease of navigating that knowledge base has direct ramifications for performance. Unfortunately, those ramifications are often of the negative variety. Company knowledge bases are cumbersome and unintuitive, requiring agents to exert considerable effort – and waste considerable time – acquiring information customers expect immediately. Worse, they are not connected with the call desktop, analytics suite or CRM solution. They neither have the ability to “learn” based on past interactions nor guide agents based on the current interaction. The data remains static and impersonal at best and incorrect and out-of-date at worst. Performance suffers as a result. Agents – even personable ones who can think on their feet – deliver experiences that are slower, less accurate and less personal than customers are demanding. Agents are at their most valuable when conversing – and connecting – with customers. It is a task humans continue to do better than machines. It is also a task that continues to yield tremendous value for the business. In an optimized contact center environment, agents would spend most (if not all) of their time in nuanced, deep, “human” interactions with customers. It would yield the greatest ROI for the business, while also driving the greatest possible degree of agent satisfaction. Agents would in turn be happier, stay longer, perform better and ultimately produce a stronger contact center function. Few businesses actually create this ideal environment. They instead assign agents mundane tasks, including answering transactional calls, handling post-call work, performing data entry and participating in classroom training. Suboptimal scheduling compounds this matter, as agents sometimes spend time doing nothing. By increasingly handling transactional matters, AI-driven self-service is helping to a degree. The interactions agents manage will be of a more nuanced, productive, valuable variety. Unfortunately, reducing transactional call volume only addresses part of the issue. Organizations will still need to account for the menial, non-interaction tasks on which agents are currently spending time. If not, agents will continue to perform below their potential. Certain agents are better-suited for certain customers and issues. Many organizations fail to recognize – and take advantage of – this reality. They route calls based on random (or very rudimentary) rules, doing nothing to ensure “fitness” between the customer and agent. Performance suffers as a result. Agents are unable to make the best possible connections with customers. They also lack the knowledge to deliver the fastest, most worthwhile resolutions. Agents spend more time on each call and do not even deliver significant value for the customer. It is not enough to emphasize customer centricity as an objective. A performance-centric company leverages processes and technology to foster the best possible connections between agents and customers. Find out how to overcome these challenges by clicking the button below. You’ll decrease operational costs and increase operational agility - Legacy contact centers inhibit flexibility and make it difficult to integrate with new technology systems. Moving to a cloud-based contact center limits the time, effort and dollars that it takes to integrate with other business tools while making it easier than ever to adjust your strategy. The new generation of tools like Talkdesk mean companies can be set up no time and can be reconfigured as often as your strategy changes, allowing you to stay responsive to your customers. You’ll be able to manage multiple contact center locations seamlessly from anywhere - With the exception of very small businesses, companies today needs to support customers and prospects on a global scale. Contact centers need to offer 24-hour support in multiple languages and have local experts in any geography where they expect to do business. Legacy providers make it difficult to add new members, requiring new hardware for every agent and an implementation specialist to set everything up. With a modern contact center, new users can be added in a handful of clicks and all they need to get started is a computer and an internet connection. You can adopt new capabilities as they emerge - An on-prem contact center makes updates infrequently, which limits their customers’ ability to communicate via new channels. Cloud contact centers adapt to the way that customers want to communicate by adopting channels that companies offer in the contact center as they emerge. Just as smartphones enabled traditional telephones to do so much more than just voice support, modern contact centers need to adapt to the new technology and channels to extend capabilities beyond just phone calls. You’ll get ahead of the artificial intelligence and cloud software technology curve - There’s a new industrial revolution taking place that is fueled by artificial intelligence. This revolution is producing a new wave of better business outcomes, including faster order processing, better customer satisfaction and more online activity. On-prem solutions don’t utilize this technology to its full extent and are notoriously slow at adding new capabilities for agents and customers. You’ll be amazed at how easy Implementation is in the cloud - Cloud-based contact centers like Talkdesk offer extremely easy implementation that can be completed in a matter of days or weeks instead of months. Initial setup and ongoing administration is codeless, requiring a few simple clicks to make adjustments. With one-click integrations and easy automation setup, your cloud contact solution can match the benefits of an on-prem setup in no time. To learn more about these five reasons and how Talkdesk can bring your contact center up to customer speed, view the entire webinar. If you want to explore some of the other Talkdesk webinars, click the button below. Call for Stories: 101 Customer Stories Contest is Open! Some customer service stories just warm your heart. Remember when Ibby the Starbucks barista learned sign language to communicate with her deaf customer? And who could forget the time when Tracey from Domino’s Pizza called the Sheriff after she hadn’t heard from her regular customer in 11 days and ultimately saved his life? While customers’ expectations for businesses are higher than ever before, customer service agents are working overtime to please their customers—and their hard work is paying off. In 2017 customer service ratings were better than ever—81% of U.S. consumers reported that businesses are meeting or exceeding their expectations for service, a big increase from 67% in 2014. As consumers, we can’t help but be captivated by stories of incredible customer service. They are a much needed reminder that while so many businesses claim to put customers first, some of them truly go above and beyond to brighten their customers’ days. If you’ve ever had outstanding customer service rep make your day, now is your time to pay it back. Share your amazing customer story with us and you’ll be entered to win $1,000 and a free VIP trip to Opentalk 2018 in San Francisco. The best stories will also be featured in our 101 Customer Experience Stories ebook. Submit your story to us using the form below by April 20th, 2018. Include the best experience from any time in your customer experience career. It could be a memory from your history as a consumer making a purchase, calling into a support line or even a time when you provided an excellent customer experience as a professional. Our panel of Talkdesk judges will read through all submissions and identify the most compelling stories to showcase in our “101 Best Stories” ebook. Stories will be selected on the basis of how compelling they are and how they contribute to overall customer experience understanding. One story will be awarded with the overall grand prize. We’ll reach out to grand prize winner as well as stories selected for inclusion in our ebook via email shortly after the submission period ends to let them know they’ve won! Make no mistake; contact center performance is ultimately defined by core “outcomes” like customer satisfaction, loyalty and revenue. Intermediary metrics, however, play an immensely important role in diagnosing performance, identifying challenges and uncovering opportunities. They reveal “why” outcomes are where they are now – and what steps a business can take to achieve improvement down the road. Traditional metrics like average handle time and first contact resolution are undoubtedly important in this quest. They accurately reflect and measure much of the work an agent handles on a day-to-day process. They, accordingly, help identify opportunities to improve agent performance – and drive better overall business outcomes. They do not necessarily tell the full story. And insofar as they pre-date recent developments within the customer contact landscape, they do not account for the nuances of the modern customer experience function. Conventional contact center metrics may say a lot about a typical contact center agent, but they do not chronicle every facet of performance in today’s age of omnichannel customer centricity. Forward-thinking organizations are thus look beyond traditional metrics when assessing performance. They are looking for new scoring systems that better reflect the reality of engaging customers in today’s landscape. Divide the average time a customer spends between calls by the time a customer is available for new calls. A measurement of the extent to which the agent is “personalizing” interactions. This can be issued as a “grade” (following management’s qualitative review) or as a score (based on using analytics to compare overlap between interactions). How many channels/touchpoints did a customer access before reaching the live agent? Divide the number of customers who resolve their matter in self-service by the number that start addressing their issue in self-service. What percentage of an agent’s interactions is in the agent’s area of specialty/expertise? This post was written by Jói Sigurdsson, Founder and CEO of CrankWheel, a screen sharing solution available on AppConnect. Consumers prefer solutions that are quick, convenient and on their terms. From next day delivery and free returns to AI-powered chatbots, brands need to deliver experiences that are tailored to modern consumer demands and trends. Customers don’t want to wait on hold for hours. They don’t want to play guessing games with complex menu options, or come through to the wrong person and be told to call a different number. Customers expect better; they demand a level of service that makes them want to stay loyal, promote your business and spend more. Some interactions require visual communication to show, not tell, customers information they need to know. Instead of a call, here are seven times when a screen share is worth a thousand words between a customer and contact center agent. Product demos, when a new or potential customer wants to understand a product, always benefit from screen shares. Instead of simply giving someone a free or trial account and hoping they figure it out; show them how it works. They will feel better equipped when using the product and allow your sales agent to find out more about their pain points and can direct them to features that solve these problems. Everyone wins! In this scenario, you’ve got a much better chance of converting a prospect into a customer at the end of a free trial period when they understand how, exactly, a product works and solves their challenges. Some products, such as software, apps, subscriptions and services – such as cable TV – need visual support. Trying to explain something over the phone can get tedious and confusing, especially if what the customer needs help with involves multiple stages, features and steps. Some customers won’t have the same grasp of technology as most. Extra help is needed. Give them this, simply and efficiently, by showing them exactly what to do with a screen share interaction instead of just a phone call. Complaints can be an opportunity to improve relationships between customers and brands when they’re handled well. When a complaint is handled poorly, customers feel undervalued, are inclined to voice their frustrations on social media and will go elsewhere. Unhappy customers tell others, whereas unhappy customers who’ve received a complaint resolution that fixes the problem are often positive brand advocates. Imagine the power of a complaint resolution when an unhappy customer can be visually walked through a solution to a problem –especially when it involves complex product or service features – that fixes something they thought impossible to fix. This is the potential power of a positive screen share experience. Anything involving complex features or integrations with other products or services often needs a screen share while on a phone call. Visual walkthroughs make these processes far easier, quicker and less likely to fail. Customers will need to call back if they can’t make something work, which could result in a complaint or cancellation of a contract if they aren’t happy. Preemptively solve these problems with a short screen share that teaches them what they need to know in one go. Consumer brands and software companies have a vast amount of data on how a customer interacts with them and uses their services. When you’ve got this information and know someone wants to cancel or has come to the end of a trial, use this to retain or upgrade that customer. Walk them through features they’re unaware of, or have struggled with. Wow them with new service offerings and offers. Give them a good reason to stay, which is where a screen share during a phone call offers you a massive advantage. A screen share – when a customer wants this option – will give you an advantage over competitors. Similar to the above, particularly for self-service products, when a customer has signed-up to a trial without any interactions with anyone at the company. Giving them a chance to speak to someone, while asking questions and being shown features, will show them that your company cares about its customers. While a phone call or an online message does that too, a phone call with a screen share has advantage that you can walk people through features they may not know of, but would benefit from engaging with. This makes it easier to retain and convert these trial customers. A phone call can do this, with limitations, but a screen share during a phone call simplifies and speeds up the process, providing you offer it seamlessly, with an emphasis on an effortless interaction. Ideally, screen sharing should be offered in a way that is zero hassle for the your customer or prospect, taking into account that your customer may not be tech-savvy, they may not have the latest software on their computer or an up-to-date smartphone, and even if they are and they do, they may not be willing to install any software or jump through further hoops just to let you show them something. CrankWheel is a screen sharing solution that is available on AppConnect, meant to be used as a complement to a phone call, or to respond instantly to a customer filling in a lead capture form on your website. If you’re interested in finding out more about the Talkdesk and CrankWheel integration, join CrankWheel’s upcoming webinar. 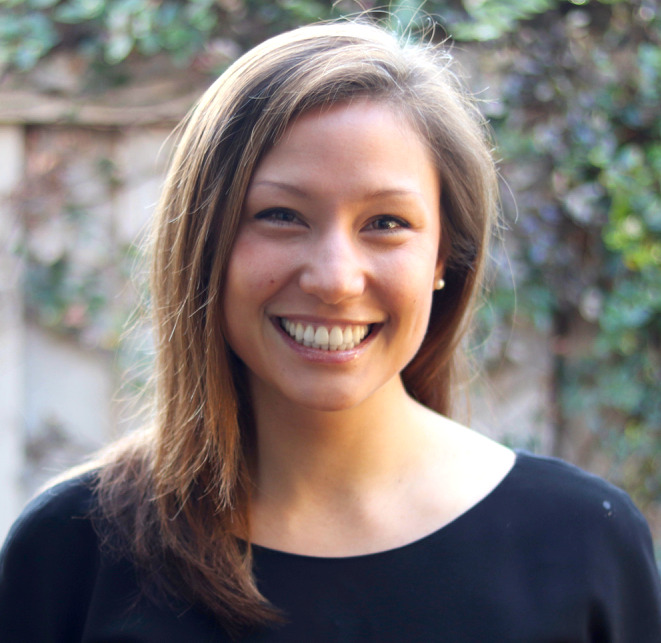 Alison is a content marketing manager at Talkdesk. In addition to blogging and copy editing at Talkdesk, she practices investigative journalism at the San Francisco Writer's Grotto and is the Communications Director for the LONA Project. This post was written by Jon Heaps, Vice President of Channels at Talkdesk. It’s hard not to smile when a sales rep claims their company’s “open APIs” will allow you to set up your contact center in no time, but that can quickly turn into a grimace six months later when you find yourself buried in hidden professional service fees and still without a functional contact center. While many vendors, especially legacy providers, claim their new and improved APIs will solve all of the implementation and integration woes, in reality it often costs a considerably larger amount of time and engineering dollars before you come close to ready for implementation. Switching contact center providers always comes with the understood cost of a transition period – you’ll lose a little uptime time while you make the move – but ultimately the new capabilities should make up for it. You plan for a short-term period of incurring the switching cost, then a long-term reaping of the benefits. However, if those benefits dwindle too long while you wait for your contact center to implement, by the time you can actually use those exciting new features, your customers and employees alike are frustrated. That delayed implementation is a double-edged sword, because a longer-than-expected transition means greater-than-expected costs. When you consider that today’s contact centers are best utilized when they are intelligently integrated with multiple other solutions, this transitional downtime could mean that several companies are waiting for as long as eight months after a deal is signed before seeing any actual value. 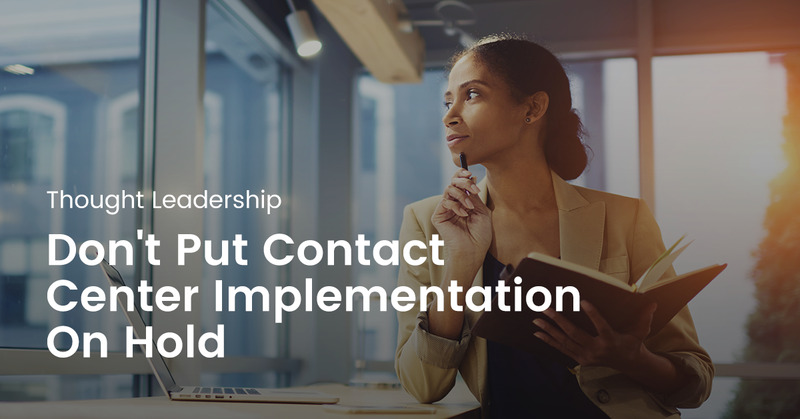 It’s time that business leaders stop accepting this inconvenience and begin challenging the status quo that has allowed legacy contact center vendors to get away with months-long implementations. With cloud-native solutions, enterprise customers should expect to implement fully operational contact centers two to four weeks after they sign. Second-generation cloud solutions allow businesses to implement new customers’ contact centers at a lightning-fast speed because cloud contact center infrastructures are configurable at the click of a button, without any code. Setup, management and administrative tasks such as designing an IVR, creating an automation or adding an agent are fast and easy, requiring little to no additional professional services costs. At Talkdesk, that’s what we offer customers. We are able to implement new customers’ contact centers at a lightning-fast speed because our cloud contact center infrastructure is configurable at the click of a button, without any code. Setup, management and administrative tasks such as designing an IVR, creating an automation or adding an agent are fast and easy, requiring zero additional professional services costs. Our simple “clicks, not code” backend has enabled some customers to set up a call center as quickly as a single day. Talkdesk also saves customers time during implementation by providing 30 out-of-the-box integrations with major CRMs and business tools like Salesforce, Zendesk and Microsoft Dynamics. From the second you set up your contact center, all administrative actions in Talkdesk can be completed in just seconds using our administrative backend. The system is designed to put power in the hands of our customers and enable them to fine tune their contact center as their needs change. Talkdesk’s intuitive management dashboard offers total control of the contact center and requires no training or certification to master. Additionally, we created the first enterprise contact center app store, AppConnect, to unite our best-in-breed software with innovative new solutions that can redefine the way businesses build their contact center stack. All the apps come with one-click integrations and 30-day free trials, meaning customers can experiment and start seeing value the day they decide to test out a new solution, without any risk or cost. To make it even easier, all the billing is handled monthly on a single Talkdesk bill rather than externally through the individual vendors. We liken our AppConnect platform to the app stores offered by Apple and Google. Only a small percentage of apps on their platforms are actually created by in-house developers – the main value is that the platform makes it easy for other developers to create and integrate their ideas. Our AppConnect partners use our tools to build next-generation contact center offerings that come pre-integrated with the Talkdesk platform, meaning there are no hidden integration nightmares like long wait times or professional services costs. It’s time to stop accepting implementation horror stories and start improving your customer experiences with highly-personalized contact center interactions. It’ll be more beneficial to your company’s bottom line and better yet, it’ll make your customers happier and more loyal. We are excited to announce that we are accepting speaker submissions for Opentalk 2018! We are looking for creative storytellers, customer experience innovators and leaders with real-world successes to share. Topics will include omnichannel strategies for integrated customer experiences, AI and machine learning and emerging technologies for sales. As speakers from last year’s Opentalk can attest, speaking at this industry event is an eye-opening experience. Apply to be a speaker today and get a free pass to Opentalk18. Deadline for submissions is April 30, 2018. Please email marketing@talkdesk.com if you are interested in speaking. When thinking about performance, customer management thought leaders have historically focused on the supposed trade-off between efficiency and customer centricity. A business, in their eyes, could either emphasize fast, transactional interactions or elaborate, emotionally driven conversations. It, essentially, had to choose between quick service and meaningful connections. Customers are unwilling to make that sacrifice. They absolutely do expect speedy, frictionless interactions that produce resolutions on the first contact. CCW Digital’s recent consumer preferences survey confirms “first contact resolution,” “fast resolutions” and “low wait times” as three of the top five customer demands. Customers are not, however, merely looking for curt, impersonal service that “gets the job done.” They are also looking for engaging, personalized, high-quality interactions. They are looking for connections. Friendly, engaging conversations and highly knowledgeable agents also rank as top customer demands. Customers want to move through the interaction process quickly, but they resent the sense of being “rushed off the phone.” They want to feel heard, understood and appreciated throughout the entire customer service journey. They want the business to design experiences that maximize value for customers. Businesses must listen to their customers and design experiences that drive efficiency and customer centricity. Their approach to agent performance, moreover, must focus on maximizing customer value. Contrary to contact center convention, businesses should not be choosing between efficiency metrics like average handle time and “customer metrics” like Net Promoter Score. In many cases, the two are actually correlated. Speedy interactions – as long as they do not come at the expense of quality – often increase customer satisfaction, loyalty and advocacy. In doing so, they ultimately lead to more revenue. To determine the appropriate performance management framework, organizations must consider the specific demands of their customers, the promise the brand is making to these customers, and the nature of the interactions that will be taking place. After evaluating these factors, the business can then determine the extent to which it should emphasize metrics related to speed, quality, accuracy, channel preference and resolution rate. Most, ultimately, will play some role in the performance scorecard. Most, after all, play some role in driving the universal performance priority: forming lucrative, meaningful relationships with customers. When Talkdesk puts together our long-term feature roadmap, we put a lot of thought into where contact center executives want to go in the future and build a product that will give them the tools they need to execute on their vision. Part of this exercise includes reviewing the results of Deloitte’s 2017 Global Contact Center Survey to see how these executives responded to questions about their priorities for the next couple of years. One of the big findings of the recent Deloitte survey was that customer experience is going to be defined by making customer interactions “effortless.” From a high level, this is a goal we’ve always tried to achieve. When we build our product, we’re focusing on our customers’ customers, designing our contact center to give them the best experience. The survey goes on to break down the individual ways that contact centers will capture customer feedback to evaluate their experience. It’s no surprise that a majority of these channels involve monitoring customer behavior and learning from them by observing how they use the product. Collecting customer satisfaction is not a new idea, it’s traditionally been a high-effort way for companies to track customer interactions. Usually, customers have to stay on the line after an issue has been resolved and then answer a range of questions. No one wants to do that. Instead of accepting the low response rate of the traditional CSAT survey, Talkdesk implemented a simple, quantitative SMS survey that only requires customers to rate their interaction on a 1-to-5 scale. The resulting response rate has increased by as much as 30%. While plenty of companies measure how the customer feels about their interactions, there’s another element of the conversation that is often going unmeasured - the agent’s perspective. To add another level of information about customer interactions, Talkdesk added a short quantitative survey called Mood to our Sentiment suite of tools to track the agent’s feedback. Some of Talkdesk’s new AppConnect partners are creating cutting-edge voice analytics tools that will use transcription, tone and other tools to monitor conversations in real time and give the agent feedback on the customer. Tools like TalkIQ and Simple Emotion require no additional effort from the customer, but allow the agent to better understand the flow of the conversation. Talkdesk’s AgentAssist™ and SalesAssist™ tools will even monitor a conversation and suggest assets that will help a customer or prospect based on their specific needs. These new tools are an excellent way to let AI enhance conversations without any new customer effort. Too many support conversations start out with a high level of customer effort. They have to go through an IVR, explain their issue to an agent, then wait while they’re transferred to another agent and explain their issue again. Only after all that effort do they even begin to resolve their issue. It’s exhausting. Talkdesk’s Context provides information about customer activity to an agent, so they start the conversation with an understanding of what the caller wants to do. It’s an easy way to fast forward past the high-effort portions of the discussion and get right to the resolution. Companies traditionally offer a handful of support channels - phone, email, chat, etc., but information isn’t shared across channels. Switching from one channel to another might cause a customer to have to start their process all over again. With an Omnichannel approach, customer can enter a conversation with a company through any channel that they’re comfortable using and move channels depending on the urgency and emotion of the situation. Sometimes the best way to train agents is to have them listen to their calls with their manager so they can get feedback on what they are doing well and what they can improve. That’s why Talkdesk allows customers to record calls. When combined with voice analytics that can pinpoint crucial moments in a conversation, these recordings can be an extremely valuable tool. All of these tools are designed to raise the quality of your customer experience without requiring anything new from your customers. Providing an effortless experience is more a mindset than a collection of tools, so it requires constant work to achieve. To learn more about some of Talkdesk’s innovative new tools to increase CX, click the button below. To help understand the modern contact center industry as thoroughly as possible, the team at Talkdesk reviewed Deloitte’s 2017 Global Contact Center Survey. The survey asks contact center executives about the state of their contact centers now and where they think they’ll be in two years, so it’s a valuable resource for us to map out the future of the industry and see how our product fits. We’re used to seeing predictions that voice support will decline, but in Deloitte’s survey, there are some concrete numbers that illustrate what is expected to happen. The biggest insight is not simply that voice support will be replaced by chatbots and social media; Deloitte actually maps out the projected shift in the mixture of support activity, assigning each channel a current and future percentage of activity. The predicted drop in voice activity still leaves voice as the unquestioned king of support channels. 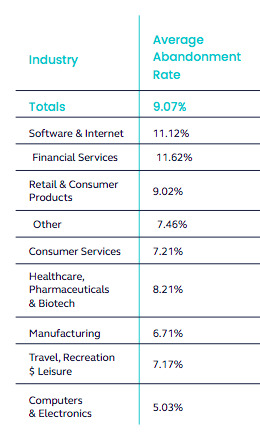 At the time of the survey, voice support accounted for 64% of contacts, 3.5 times more than the next most-utilized channel (email at 18%) and more than 10 times as popular as any other channel after that. When the survey participants predicted the channel mixture for 2019, they still expect voice to be the most popular channel — 3 times more than the next most-utilized channel (email at 16%). While there are certainly gains predicted for video, SMS, social media and chat, all those channels added together are only expected to account for 33% of all contacts, noticeably less than the 47% of activity that will happen on voice calls. Keep in mind that these are predictions, and are likely to overestimate the implementation of new technologies. A year ago, 2017 was designated as the “year of the chatbot” but at the time of the survey, only accounted for 6% of customer contact. The decline of voice contact is always something that will be forecast, but likely won’t happen for quite a long time, if ever. If contact center executives are curious about the staying power of voice, the explanation lies a bit later in the same Deloitte survey. In the portion of the survey that covers channel diversity, survey participants evaluated communication channels on their ability to handle simple vs. complex interactions. Not surprisingly, voice was deemed capable of handling the most complex issues. No other channel even came close to competing. The empathy and creative problem-solving ability of a human agent is irreplaceable for challenging support issues. In addition to acknowledging that voice support is capable of solving the most complex issues, a whopping 66% of all respondents said they expect contact center volume to increase, with 85% of those respondents also predicting an increase in issue complexity. With contact centers expecting more and more complex issues from customers, we might actually see a rise in the volume of voice support. At Talkdesk, what we see when we look at the future of customer interactions is an increase in the customer’s ability to self serve. But the issues they’re resolving on their own are the simple interactions that traditionally happen via chat, SMS or even email. Anything that can be done with a simple algorithm or a binary flip will be built into the self-service UI. The communications that are happening by phone are the ones that are complex and urgent, require human creativity and flexibility, the types of things that technology can’t replicate. The important area of focus for us is not really on what percentage of customer interactions happen through voice, but on allowing our customers’ customers to use the channel that matches the urgency and emotion of their issue. Talkdesk is an omnichannel offering and is constantly coming out with new tools through AppConnect that allow our customers to send and receive communications from customers on their channel of choice. Sometimes that’s voice, sometimes it’s SMS or even video. We believe that the best way to determine your channel mix is to offer a range of options and let the customers determine the right volume for each. Their actions speak louder than anything. To learn more about the changing voice support landscape and how your company can adapt to new trends, click the button below and set up a call with one of our experts. 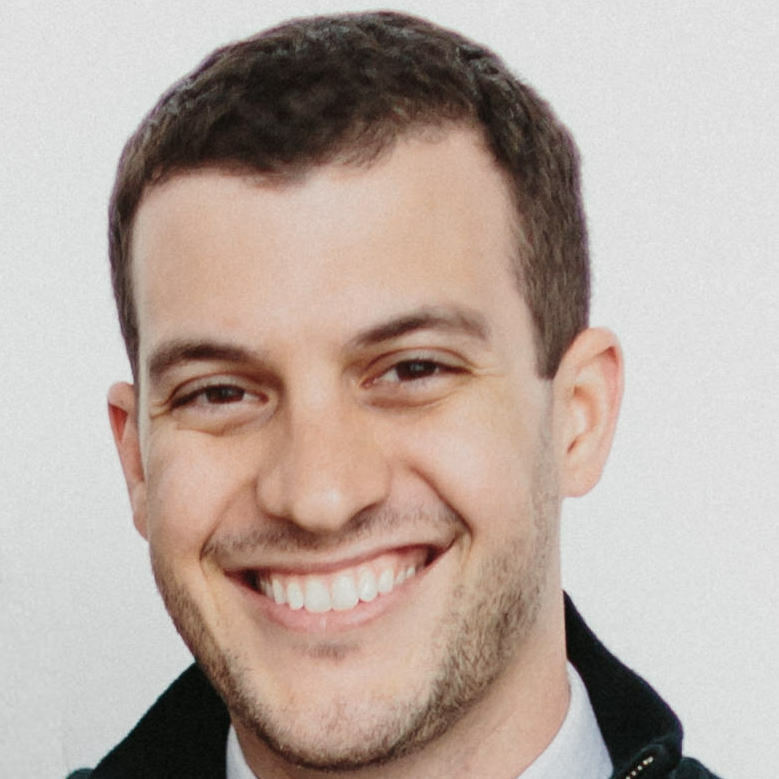 Adam is the manager, content marketing at Talkdesk. When he isn't working, he's probably reading or getting lost in Youtube holes. Making a digital transformation requires adding new channels to a company’s contact center strategy and enabling an agent to handle communications through all the channels. This approach brings an emphasis on using CRM data in every interaction across a wider channel map. Increased demand for accessibility of customer information requires deep integration with a CRM system like Salesforce. Talkdesk was built to be a companion to your CRM solution, making sure your agents can use the CRM as their primary workspace, making and receiving Talkdesk calls in the background, without ever leaving the CRM. Supervisors can get live and historical reports in the CRM and call activity is logged to the CRM in real time so agents always have the most current information. Talkdesk makes integrations like this easy. Through APIs, we provide out-of-the-box integrations with Salesforce and Zendesk at no additional charge. These tools also work seamlessly inside Callbar, Talkdesk’s new web application that allows users to make and receive phone calls from anywhere on the desktop. Think about your current after-call process. If your agents are still going into a CRM and manually logging activities after every call, you might need to think about how a move to the cloud could generate more agent productivity. By integrating your cloud contact center with a CRM, you can create simple automations that will share information across solutions and cut down on the manual entry that your agents have to do after every call. Talkdesk customers can integrate their contact center with a CRM tool like Salesforce so that every time a call is made, the Salesforce contact is updated to include notes about the activity, log the disposition and even store a recording of the call. A contact center is at its best when all the agents are busy on the phone talking to customers and prospects, not filling out reports and updating profiles. Automations are at the heart of a cloud contact center, using technology to handle the mundane record updating and freeing up agents to get back on the phone. The best part about Talkdesk’s integrations is that they sync information and run in the background of the your other favorite business tools. If you’re already using Salesforce, you can click on any phone number in your CRM to make a call through Talkdesk. When the call is over, your automations can update the contact record with no additional work on the agent’s part. You can view the account, make a call and record the activity without ever leaving your Salesforce interface. The contact center team gets all the benefits of Talkdesk within the same workflow they already use. In addition to the after-call automations, Talkdesk also enables contact centers to set up automated reports, customized to deliver the metrics you choose at any interval you select. These reports are easy to set up and can can be used by managers to track the team’s performance over time. If you’d rather use real-time information than regular reports, Talkdesk Live allows you to create a dashboard that displays custom metrics with up-to-the-minute accuracy. However your team uses metrics to inform contact center decisions, Talkdesk’s cloud-based solution fits your team’s needs. If you are still debating whether you should transition your contact center from on-premises (on-prem) to the cloud, let’s consider the advantages of cloud-native contact center. The internet has enabled the SaaS model for enterprise software and it’s unleashed a new age of innovative software like Salesforce that allows companies to be more efficient. Consider this: if you were to look for a new CRM solution today, you would certainly start the conversation with a SaaS options. However, many companies are stuck with legacy on-prem contact centers because the first-generation of cloud contact centers did not offer enough benefits to outweight the cost of the transition. 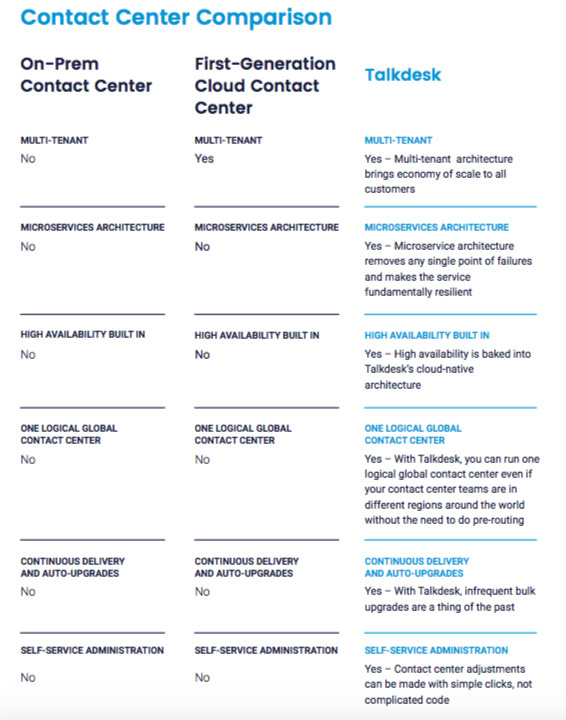 First-generation cloud contact centers were very close to on-prem solutions in their architecture and generally the only difference was multi-tenancy. They still worked with regional carriers, ran in private data centers and scaling was a step function. With the advent of Communications Platform as a Service (CPaaS) like Twilio and NexMo, public switched telephone network (PSTN) carriers around the world are getting stitched together into one global telephony network. Additionally, with Infrastructure as a Service (IaaS) like AWS and Microsoft Azure, SaaS architecture can be adopted quickly and cost-effectively, unleashing the second generation of Contact Center as a Service (CCaaS) solutions like Talkdesk. If your company has an on-prem contact center solution, you know firsthand how painful the setup process was. After you made a purchase decision, you probably had to schedule a site visit, buy and install the hardware, figure out licensing, configure the infrastructure and more. It’s standard that the complicated setup steps and the waiting between them can stretch out several months. Talkdesk’s cloud-based contact center software offers a replacement for those old on-prem contact centers, but it is also a replacement for the difficult implementation process. Our contact center was built to revolutionize setup, replacing the monthslong installation of older, on-prem competitors. You can say goodbye to hardware – all you need is an internet connection and a headset to make and receive calls. You don’t even need to wait for a Talkdesk representative to complete the process, your in-house admin can manage it all internally with a few clicks. With Talkdesk’s cloud contact center, installation happens on the schedule that’s most convenient for your company, which means you can get it up and running in a very short time – in fact, customers like Vivino have installed Talkdesk in just one day. Because the entire process is managed in the admin backend, you can prioritize the basics first – buying phone numbers, assigning seats, setting up ring groups – to get you up and running, then progress to more complex steps when it makes sense for you. Flexibility like that gives Talkdesk customers the business agility to stay in line with customer demands. It also gives admins the most control to customize their team’s contact center. Talkdesk continually delivers a seamless experience throughout product upgrades. Since there is no hardware and the product lives in the cloud, we can update our offering frequently, meaning customers always have the most up-to-date contact center software. As soon as we finish building a new feature, we make it public, so our customers can begin using that feature immediately. It’s an easy way to future-proof your contact center investment. When you want to offer your customers service beyond the standard contact center offering, Talkdesk also makes it incredibly easy to add new solutions to your contact center stack. In seconds, you can add new functionality like workforce engagement, voice analytics, business intelligence and more to your contact center via Talkdesk’s AppConnect. All AppConnect solutions come with free 30-day trials, one-click setup and a simple month-to-month billing process, so there’s no hassle to try new tools. Using this unique new model, Talkdesk customers can add new functionality in minutes and only pay for solutions that add value and fit into their larger strategy. It’s never been easier to try, buy and manage your contact center. If your team is considering a move from an on-prem contact center to a cloud-based solution, you don’t have to make your decision overnight. Talkdesk makes it easy to start small and scale upward. You can try Talkdesk for one team, one region or even for a single agent. If you like how it works, it’s as easy as a couple of clicks to expand the team to new agents, new teams and new geographies. Talkdesk costs less than the maintenance of your legacy on-prem system. This makes the business case of moving to cloud with Talkdesk a no-brainer. After you make the move to a cloud-based contact center, you’ll start seeing improvements at every step of the way. One of the best ways to get more value out of your contact center is to streamline your process with integrations. This technology allows contact centers to share information with your other business tools and maximize productivity by streamlining the entry process. Let’s face it: today’s customers are savvier and more mobile than ever. They have probably already used your digital self-service solution to find answers to common questions, so if they are calling your contact center, it means they have relatively complex issues. However, if your 2018 contact center is treating incoming customer conversations as blank slates, you are ignoring the rich context that could make this call an opportunity to create loyalty. These customers live in a world of instant interactions, so they don’t have a lot of patience for even minor waiting times or duplicative requests for information. In fact, a customer’s experience with support can make or break a company’s chance at repeat business: three out of every five Americans would try a new brand or company for a better service experience. If you are using a legacy contact center, it may be holding you back from providing the kind of customer support that would make a customer stay loyal. The majority of today’s customers are digital first and prefer to handle simple issues with self-service technologies. When customers call your contact center, their issues are likely urgent or complex. Due to the high emotional element of these calls, it is essential to provide a smooth and effortless customer service journey to improve CSAT. Unfortunately, many legacy voice vendors think “digital first” means grafting digital channels onto their legacy voice solutions (voice solutions that were originally designed as an extension to their private branch exchange (PBX) solution). The call routing in legacy systems is still designed for the PSTN era has no call context other than IVR information. You need a next-generation solution that incorporates context from a customer’s other interactions. Using this complete context in your routing is a win-win for your company and your customers. Customer-centric metrics like first call resolution, handle time and CSAT will improve while agent effort will decrease and efficiency will increase. To address the complex issues coming into your contact centers, your agents need an end-to-end view of a customer’s journey as soon as they pick up the phone. In a legacy contact center, agents are probably just seeing the information that customers entered in IVR: things like account number and type of issue. Imagine how much better your customer service would be if agents could view a timeline of past purchases and service interactions as well as recent context about activities on a website, mobile app, chat, email and social media. This real-time contextual information is a superpower that generates business value from better service, higher retention and improved case handling. Do you know what happens with interaction data in your contact center? Are you able to mine that information to figure out a customer’s intent, sentiment and other insights? Information like this can help your company drive product development or clarify the training needs of your agents. Will your agents benefit from an always-on AI assistant that can proactively find answers to your customer questions? How is AI helping make better routing decisions? This is the future of the contact center and we believe that AI working together with agents will define the next level of customer service. Legacy contact center solutions were designed before Communications Platform as a Service (CPaaS) was developed. This traditional infrastructure forced businesses to run separate contact center instances in different regions or countries and tie them together with pre-routing. With CPaaS, the public switched telephone network (PSTN) is stitched into one global super telecom network. Modern platforms like Talkdesk are designed from the ground up to give you one singular, global contact center that allows you to simplify routing and save money by not having to replicate your infrastructure in each individual contact center location. The only thing consistent about the technology landscape is that it is constantly changing. Your contact center should have the agility to innovate according to your business needs. Unfortunately, if you are working off a rigid infrastructure, you are probably spending most of your budget and resources around maintenance and upgrades instead of innovation. Unlike legacy vendors, modern contact center platforms are born in cloud and have cloud-native architectures, microservices, DevOps and agile development practices. Break away from costly, disruptive and infrequent legacy upgrades and innovate at the pace you choose with an agile, cloud-native contact center stack. You’ll be able to better serve your customers and your business partners. If your company hasn’t begun the digital transformation, it’s time to start. If your digital data is stored on a CRM system like Salesforce, you need a contact center that allows your agents to handle calls through the CRM to make sure that information is tracked. Legacy solutions that were designed before the modern CRM don’t have decent APIs and can’t handle this type of activity. Mixing a legacy contact center with a modern CRM system is like mixing water with oil – no matter how hard you try, they don’t integrate. Make sure your contact center integrates with your CRM, it’ll save your agents a lot of time and your customers a lot of frustration.